The Future of Chislehurst Waste Removal Has Arrived! Our team loves nothing more than the sound of our alarm clocks going off first thing in the morning because it means that it is time to get busy and get to work. Our rubbish removal Chislehurst options have long been the talk of the town, which is why we’re proud to tell you today that we’re expanding our operations so that we’re available day and night. Perfect for meeting your needs and providing a service that takes the hassle of our life by fitting in with your day. 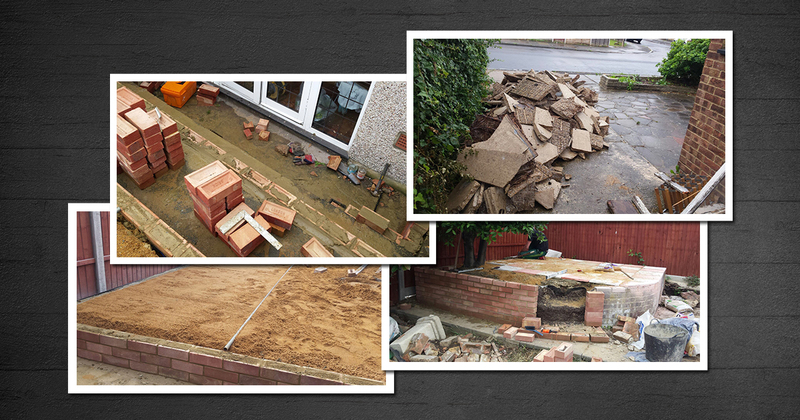 At City Junk & Gardening we care about perfecting the art of the rubbish clearance. Chislehurst has for too long had to rely on a selection of companies that promise everything, but ultimately deliver next to nothing. Not only does this waste your time and money, it also leaves you having to call around and find a replacement at short notice. And once companies sense you’re desperate for a helping hand as soon as possible they raise their prices to make the most of, what to them, is a good situation. You can rest assured that from the moment you deal with us we’ll always put you first. We are experts at what we do and are able to keep our prices low by using our years of experience to quickly and efficiently get the job done. We don’t cut corners. We don’t try and make a few extra quid out of you. And we won’t stop until the job is done to your satisfaction. Now, we can’t say fairer than that can we? When it comes to a service that carries on quietly in the background so that you can focus on what you do best, look no further than our rubbish collection Chislehurst options. Whether you want a large one-off clearance, a periodic service that fits around the working day, or a repeat order that is tailored to your own personal schedule, we have you covered. Just pick up the phone, tell us what you need, and we’ll figure out how to get it done for the cheapest price anywhere in London. We don’t want you to worry about the scale of your job, leave that to us. Even if you need a full top to bottom house clearance; Chislehurst now has a team its residents and hardworking business owners can rely on come rain or shine. Even if you need help in the garden all you have to do is give us a call. We tackle everything from mowing and pruning, to laying turf and perfecting that ever-difficult edging. And wait there’s more! Did we forget to mention that we’re expert tree surgeons? Chislehurst can now pop our number in its contacts list and get us onsite anytime of day to tackle even the most technical and skilled of outdoor jobs. To hear how we can take the stress out of life all you need to do is pick up the phone and call our team. Once we know what you need, we’ll figure out how to get it done. Simple!